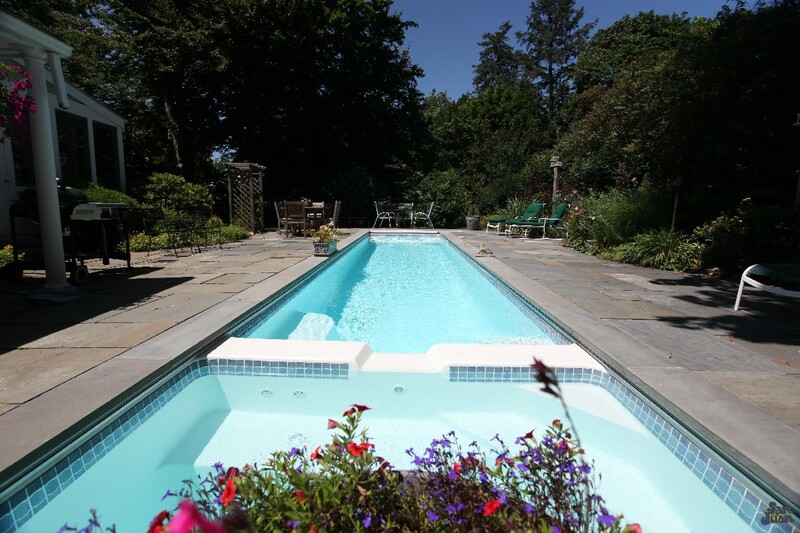 The Marathon is one of the longest fiberglass pools that we offer. It’s overall length is 40′ (including the size of the attached spa). It gives the swimmer plenty of space to stretch out and put in some laps before a morning at the office. Imagine putting on your bathing suit, grabbing a pair of goggles and throwing in some laps before going into the office. The morning is nice and warm, the sky beautiful and you’re coasting down a swim lane in your own backyard. There is nothing more peaceful in that moment than to hear the soft rush of water by your ears as your push off the wall for another lap. If you’re picturing this, it’s an image of yourself swimming in our Marathon Lap Swimming Pool. 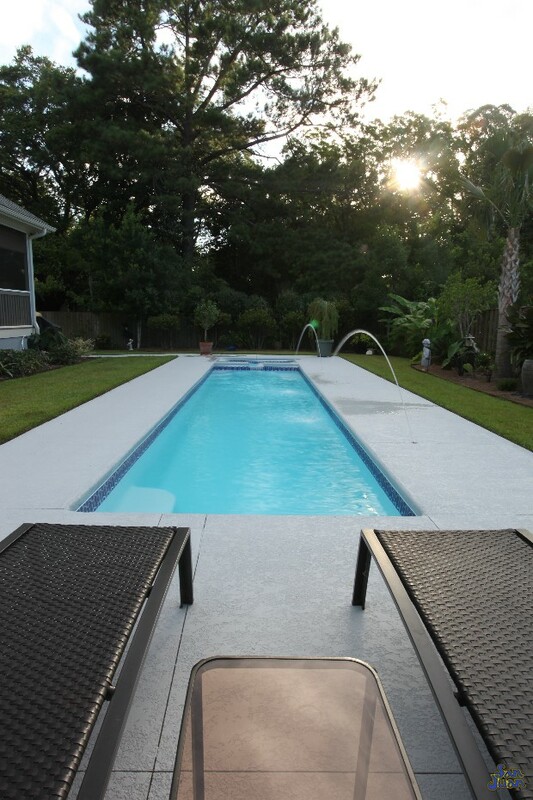 Of our entire fiberglass pool & spa collection, The Marathon is in a classification of its own. 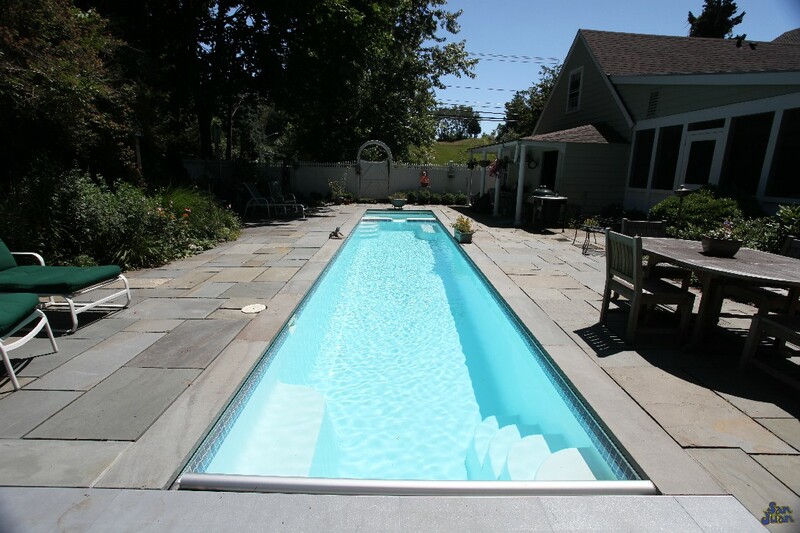 This unique fiberglass pool shell offers a whopping length of 40′. It’s a remarkable swimming pool for our the athletic consumer that desires rigorous swimming activity on a regular basis. The foundation for this design was simple; we wanted to offer a pool shape that benefited the athletes. The second benefit of the Marathon pool is the attached spa. Before you jump into the pool for some rigorous exercise, go ahead and turn your spa heater. When you’re done exercising, just take a dip into the spa to relax those sore muscles before driving to the office. 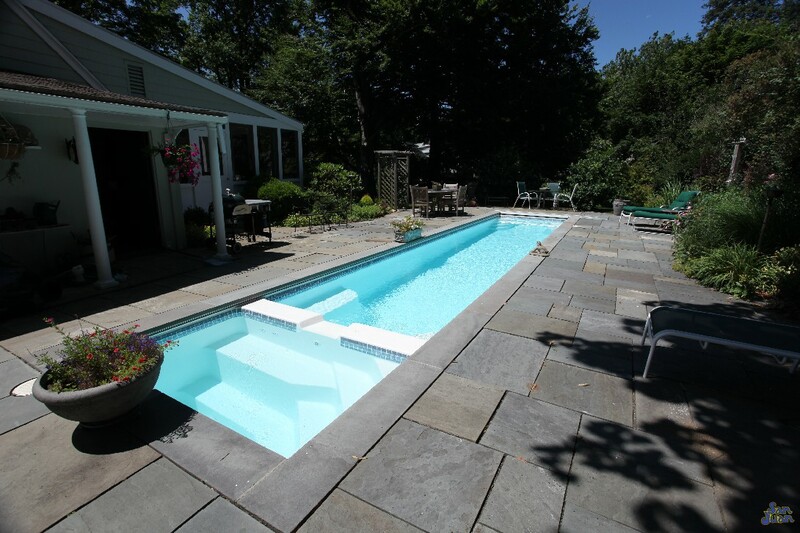 The Marathon is part of our Rectangle Pool Shape family. It’s loaded with basic features that you can upgrade for added allure and enhanced beauty. Secondly, it’s fiberglass spa is excellent for seating 2-4 guest while our lap pool can comfortably handle 2 lap swimmers. 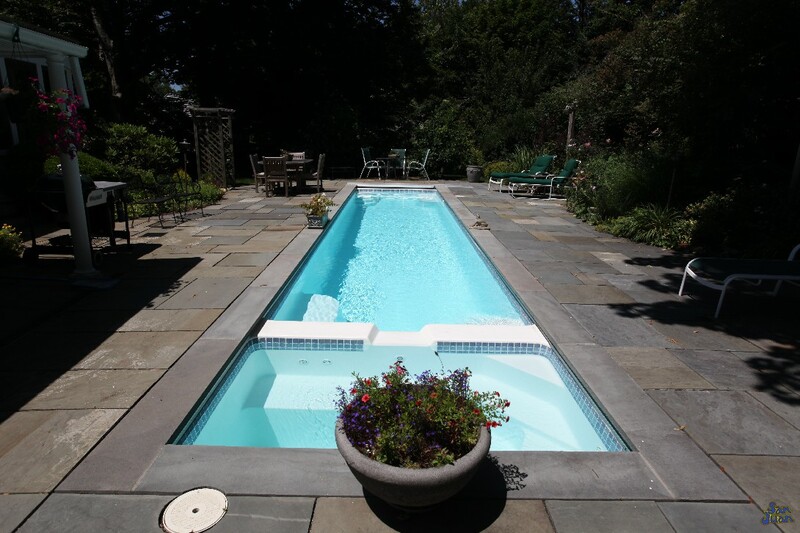 It’s overall length of 40′ feet provides plenty of swim space and it’s depth of 4′ 9″ is comfortable but not too deep. 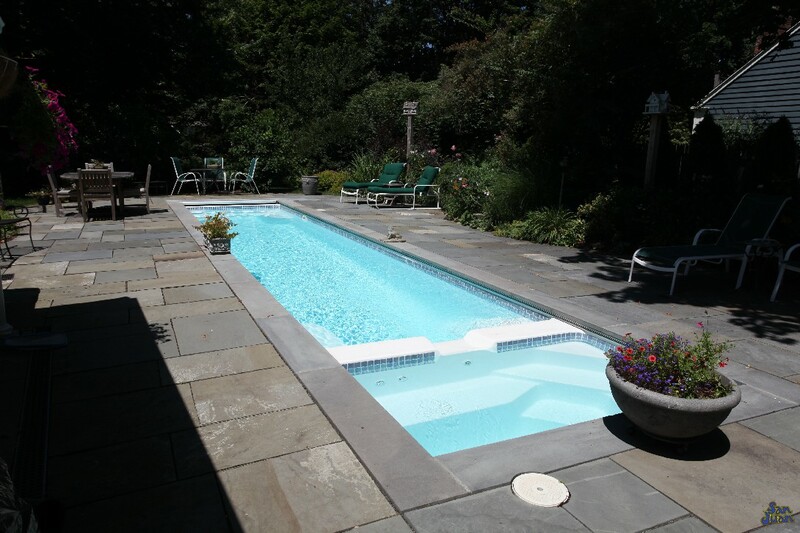 We suggest this fiberglass pool to swimmers who have an appetite for regular physical exercise! Check out the Marathon Lap Swimming Pool today!